Bollywood loves big, swanky cars and this has been proven over time by various actors. 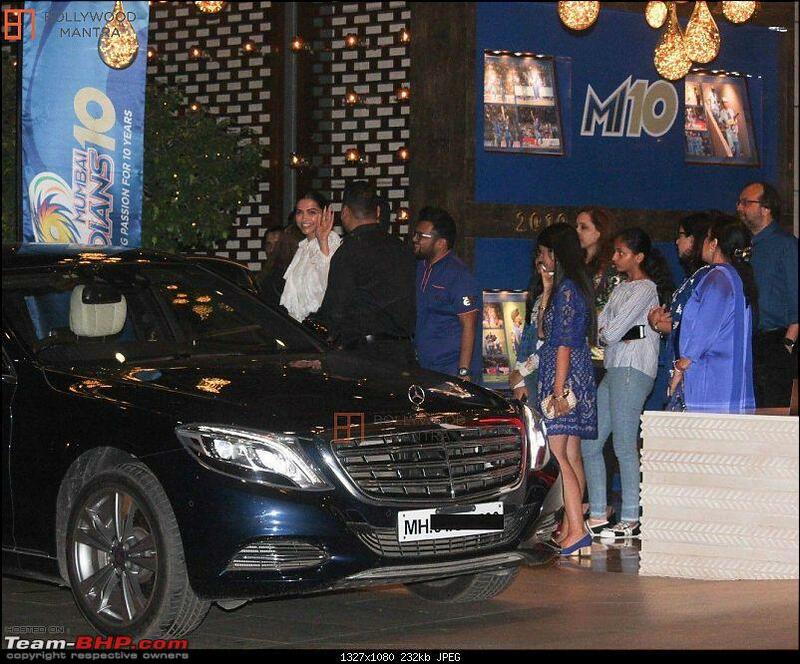 While many of us know about auto enthusiasts male celebrities who own great cars, the fact that many Bollywood actresses too own swanky rides is not that well known. The Bollywood divas here today are the leading ladies of the Tinseltown and charge a hefty acting fee apart from earning from endorsements. Here are all the details of the 11 most expensive cars owned by famous Bollywood actresses. Priyanka Chopra’s Rolls Royce is the only one in the industry to be owned by an actress. Hers is a Rolls Royce Ghost which is one of the best luxury vehicles in the world, second only to the majestic Rolls Royce Phantom. Her Ghost had a price tag of about Rs. 5.25 crore during the time it was bought. This luxury Saloon is powered by a 6.6-litre twin-turbo V12 petrol engine that produces a maximum power of 562 Bhp along with a peak torque of 780 Nm. She even got a new Mercedes Maybach recently as a gift from her hubby, Nick Jonas. However, that will not come to India and is a US registered car. Deepika Padukone is among the leading ladies of Bollywood right now and she owns a car fit for her stature. The actress owns a Mercedes Maybach S500, which is said to have cost her Rs 1.67 crore. The S500 Maybach is basically a Mercedes-Benz S-Class with added opulence to justify the Maybach badge. It is powered by a 4.7-litre engine that churns out a maximum power of 453 Bhp along with a peak torque of 700 Nm. One of the most beautiful women on earth, former Miss World Aishwarya Rai owns a Mercedes S-Class. Her S-Class is the latest generation model in the S500 trim, making it quite a powerful and luxurious car. The Mercedes-Benz S-Class S500 is powered by a 4.7-litre V8 petrol engine that puts out a maximum power of 453 Bhp along with a peak torque of 700 Nm. Alia Bhatt is one celebrity who owns a lot of high-end cars. Among the various cars like the BMW 7 Series and Audi Q7, the Range Rover Vogue above is her most recent acquisition, along with being the most expensive too. Alia’s Range Rover Vogue is powered by a big 3.0-litre V6 diesel motor that churns out a max power of 240 Bhp along with a peak torque of 600 Nm. The Range Rover is a very popular car in the Bollywood circuits and it is quite obvious why it became Alia’s choice. The stylish Bollywood Actress Sonam Kapoor is a proud owner of a Mercedes-Benz S-Class. This luxury saloon was, in fact, a gift from her father Anil Kapoor. The luxurious S400 variant she owns is powered by a 3.0-litre V6 engine that churns out 333 Bhp of maximum power along with 480Nm of peak torque and is mated with a 7-speed automatic transmission. Malaika Arora is another famous Bollywood actress to own a Range Rover Vogue. She uses her Rangie very frequently and is often seen arriving in it for events. It is draped in a shade of dark blue and is powered by a 3.0-litre V6 turbo-diesel engine. This engine puts out a maximum power of 240 Bhp along with a peak torque of 600 Nm. While Virat Kohli owns a large number of high-end cars, Anushka Sharma is also not completely left out in the competition. The actress owns a Range Rover Vogue SUV. She uses this car on a daily basis and is mostly seen in the Rangie while travelling around Mumbai. Anushka’s Range Rover Vogue is powered by a 4.4-litre V8 diesel engine that puts out a maximum power of 335 bhp along with a peak torque of 740 Nm. The most expensive and radical on this list, the Lamborghini Aventador is owned by none other than Mallika Sherawat. It cost about Rs 5 crore when it was bought, which is a huge some by any and all standards. The Aventador she owns is powered by a 6.5-litre V12 engine that churns out 690 Bhp. and can go up till 349 km/h. Probably the only Maserati owned by a Bollywood actress, The Maserati Ghibli is seen above is owned by Sunny Leone. It is a special ‘Nerissimo ‘edition’ car and retails for around Rs 1.40 crore in India. Only 450 units of the Nerissimo Edition have been built in total, which further enhances the value of Sunny Leone’s car. Kareena Kapoor has a range of cars including the Mercedes-Benz S-Class, Audi Q7 and BMW 7-Series among others. However, one of the vehicles she uses often is the Range Rover Vogue. The actress owns an earlier generation of the luxury SUV and has been spotted using her Range Rover Vogue on numerous occasions. Currently, the Range Rover Vogue range starts at Rs 1.74 crore. Bollywood heartbeat Jacqueline Fernandez is yet another owner of a Range Rover Vogue. Her luxury SUV has been fitted with a sporty body kit, which makes her Vogue look more stylish than the regular version. Even Jacqueline’s Vogue is from an earlier generation. Bollywood Diva Katrina Kaif recently bought a white Range Rover SUV. She owned an Audi Q7 prior to this which was her daily drive for many years. Katrina bought the Vogue SE Diesel LWB model, that costs a whopping 2.33 crore (ex-showroom, Delhi). The SUV gets powered by a huge 4.4 litre SDV8 diesel engine that churns out a good 335 Nm of power at 3,500 RPM and a gigantic 740 Nm of torque at 1750 RPM.